PriestOfferings The priest blesses offerings before family members place them on the coffins. Male bodies are burned in a paper mache' bull, and for women a cow. 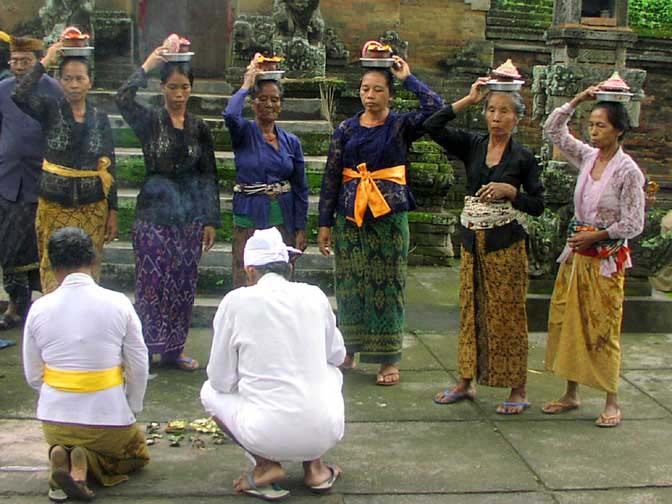 With typical Balinese humor, the bull genitalia are exaggerated and in some cases, manipulated by strings. Meanwhile, chickens or doves are released to teach the soul how to fly.